i tried to run away when i was 6, "June, July, May"
In “June, July, May,” the first track off their official debut Not Avoiding You, Philadelphia-based singer-songwriter Domenica Pileggi delivers a steady sense of world-weary optimism. Pileggi has been releasing songs on Bandcamp since 2014, under the full name i tried to run away since i was 6 (but got too scared to cross the street). With modest, introspective songwriting, Pileggi has shown a mastery of crafting comforting and inventive bedroom-pop songs. In relation to their recent recent move from upstate New York to Philly, “June, July, May” tackles an eagerness for change and a hope for the future ahead. Pileggi’s stirring, delicate voice is complimented by light guitar strums as they sing, “I know I am only twenty-two and make nine bucks a hour / I can live paycheck to paycheck If I get to see you more.” Feelings of immense aspiration and desire thread throughout the gentle song as their vocals floats softly over Casiotones, guitars, and cello. Pileggi is looking forward with an excitement for adventure as they hum, “We can go out and explore / I like to look at all the people.” As evident on “June, July, May,” i tried to run away when i was 6 is in a transition both musically and as an artist sifting through the emotions of growing up and experiencing new environments. 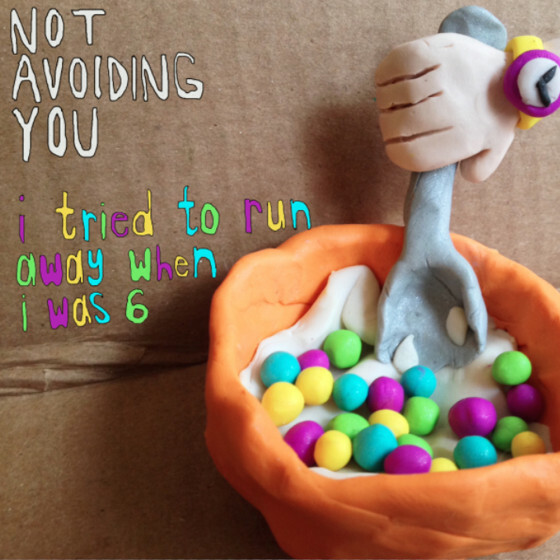 Not Avoiding You is out August 28 on Miscreant Records.